If you heard the terms free software and open source, you will grasp the idea that each of those software provides you the source code. If you are a GNU/Linux user, it's your right to ask where the source code is. But where the source code is, you ask. For popular public free software: the source code is available at each of their particular places on the internet. 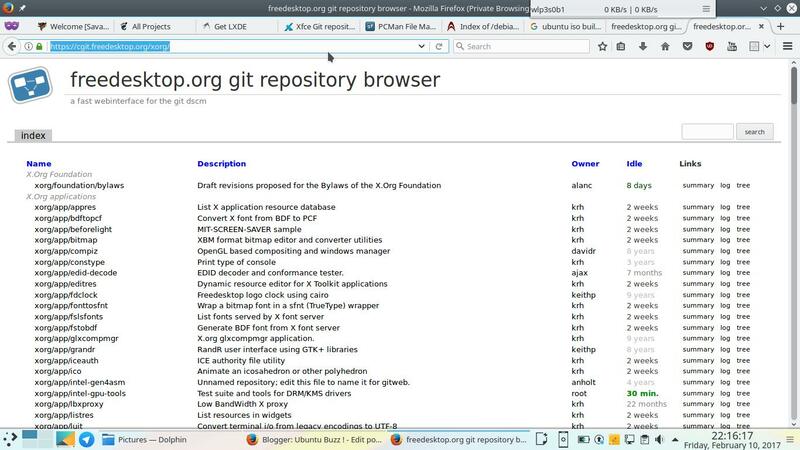 This article provides links to access the source code of popular free software projects such as GNU OS, Linux, KDE, LibreOffice, GIMP, until Slackware and Ubuntu. If you are new in free software, it is a good chance for you to study how the community works. Enjoy! 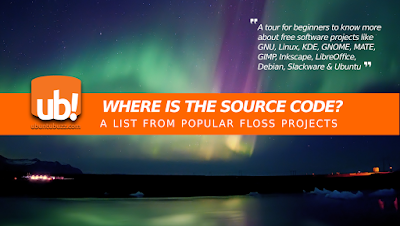 There is "free software", there is "open source", and there is "FLOSS" (Free/Libre Open Source Software) so there are three different terms to express (more or less) a same class of software. For your information, free software is a class of software that respects the user's freedom; a direct opposite to nonfree software. In this article, I use "free software" term to call every software and I hope this won't be confusing for you. GNU is a free UNIX-like operating system available as source code. GNU OS is developed by The GNU Project. If you wonder how GNU is, look at any GNU/Linux distribution such as Debian or Ubuntu, they are basically GNU in runnable versions. We recognize GNU from its components, so you will see GRUB bootloader, Glibc, GNU Stdc++, GTK+, GIMP, sed, awk, cut, dd, du, df, are example parts of GNU. GNU hosts its source code at a place called "Savannah", it is similar with GitHub or Sourceforge. If you want to list all source code line by line, see Savannah Cgit. If you want to download each source code as package file per version, see GNU FTP. Linux is a free UNIX-like kernel, used in all GNU/Linux operating systems, in Android, in Tizen, and in many other operating systems in this world. Linux, the kernel, is one of the most popular free software projects for most people. The source code is available at CGit URL above. And if you want to download the source code as package file per version, see Kernel.org Public Download. X Window System is a fundamental "layer" of software as a basis of any graphical interface (window manager and desktop environment) in a GNU/Linux or UNIX-like operating system. So to put it simply, without X running, there is no KDE or GNOME or XFCE running in your system. X Window System recognized in many names such as X, X11, XFree86, X Server, XOrg, or xorg. The source code releases of X is available at X.Org Archive and mirror list. KDE is a community that develops desktop environment (currently named "Plasma") and so many other software. All of KDE software are free software. The source code is located at Cgit URL above. If you want to download the source code as package file per version, visit KDE Download Center. 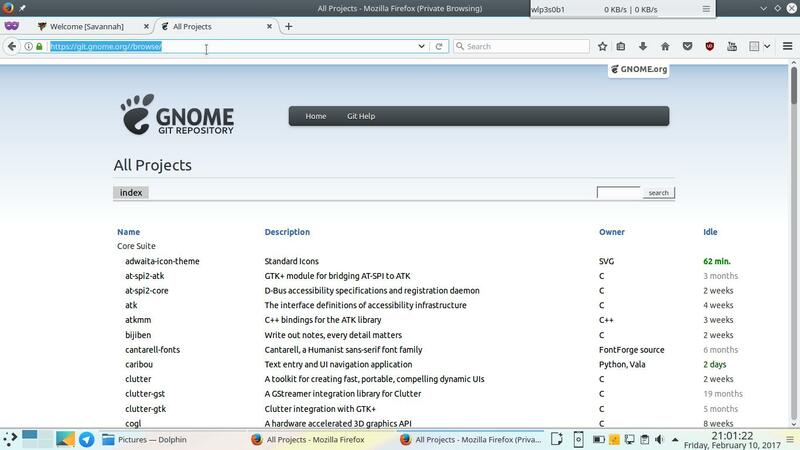 GNOME is a free desktop environment for UNIX family operating systems, historically initiated by The GNU Project as a reaction towards KDE at 1997, and now GNOME is one of the most beloved user interfaces in whole GNU/Linux community. GNOME components are very popular for example GParted, GIMP, GTK+, and so on. Just like KDE, GNOME is 100% free software. The source code is available at Cgit URL above. 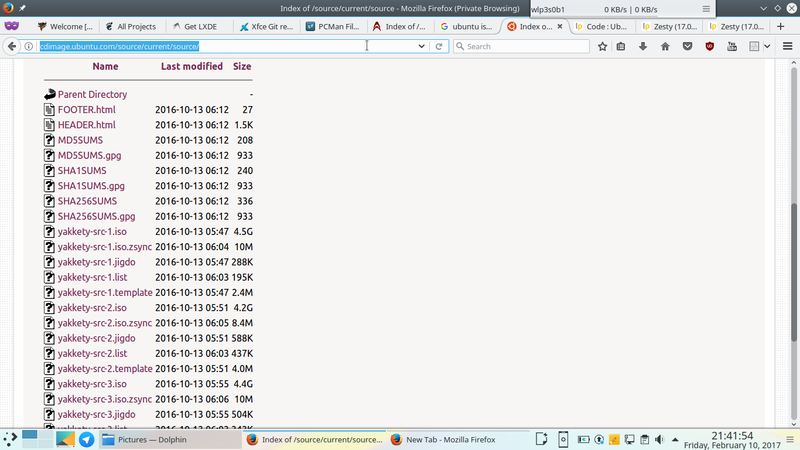 And if you want to download each source code as a package file per version, visit GNOME Download Center. MATE is a continuation of GNOME 2 desktop environment. If you want the look and feel of GNOME 2, you get it in MATE. The source code is available at CGit URL above. And if you want to download it as package file per version, see MATE Public Download. Unity is a desktop environment developed by Canonical for Ubuntu. If you are using Ubuntu Desktop now, you are using Unity Desktop. The source code is hosted at Launchpad, at Bazaar URL above. And if you want to download the source code as package file per version, see Unity Source Download. FFMPEG is a complete multimedia converter solution developed by The FFMPEG Project, a cross-platform and free software at the same time. The source code is available at Gitweb URL above. And if you want the source code as package file per version, see FFMPEG Source Download. GIMP (GNU Image Manipulation Program) is a raster editing software from The GNU Project. It is very famous among graphic designers and is a free software replacement for Adobe Photoshop. 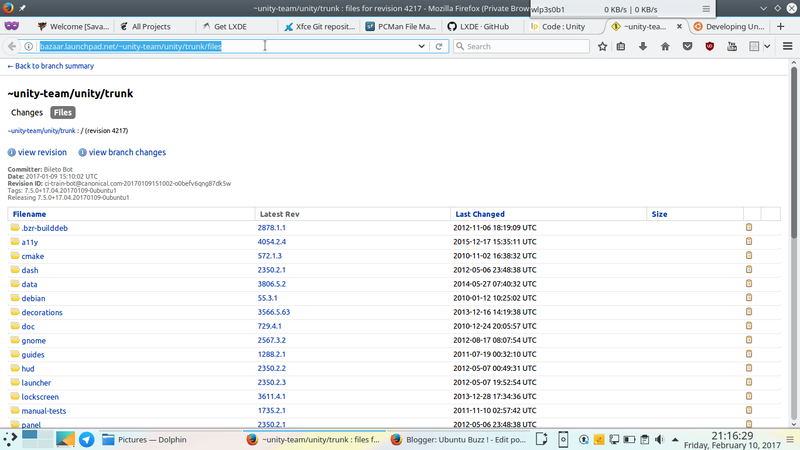 The source code is hosted at GNOME's CGit URL above. The source code in package file per version is available at GIMP Public Download. Inkscape is a vector editing software. Nowadays, Inkscape attracts many graphic designers and it's famous as CorelDRAW replacement. The source code is available at Bazaar URL above. And the source code in tarball package per version is available at Inkscape Source Download. LibreOffice is a free complete office suite from The Document Foundation. It's the default office suite in Ubuntu and other GNU/Linux distros. Its default document format is ODF (.odt .ods .odp) and it also supports Microsoft Office document format (.docx, .xlsx, .pptx). The source code is available at CGit URL above. And the source code as package file per version is available at The Document Foundation Source Download. 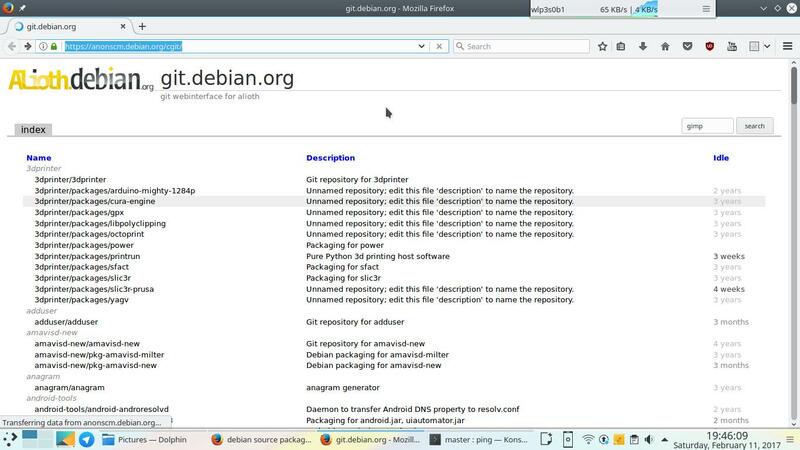 Debian stores its source code at Alioth, their own a place like Savannah for GNU. Debian is a giant, the source of many other popular GNU/Linux distros. Debian maintains so many source code from thousands of projects. You can list all source codes available at CGit URL above. If you want the whole source code in DVD, you can download the source code ISO files at Debian latest Source DVD Images. Slackware is the oldest living GNU/Linux distro. Slackware is very famous with its simplicity principle. Different to any other free software project, Slackware does not have a centered source code management (e.g. 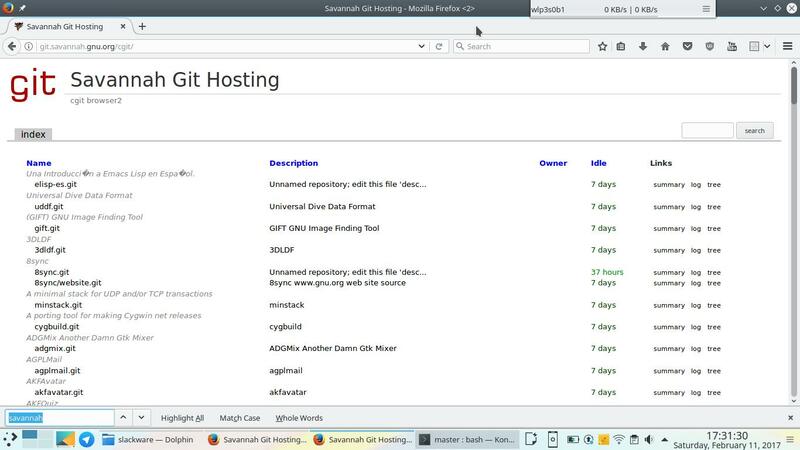 Savannah, Alioth, SourceForge, or anything like that) so we can not see any "CGit URL" here. But Slackware does have the source code available publicly in their official mirror. The source code is available per Slackware release, so 14.1 version has its own source code directory, so does 14.2 version and current version. See three URLs above. And it's the same as Debian, Slackware also provides source code in DVD ISO files, as you can download them at Slackware ISO Download. Ubuntu is a Debian-based GNU/Linux distro with Unity Desktop developed by Canonical and the community. If it's true that Ubuntu is free software, then anyone can access the source code. 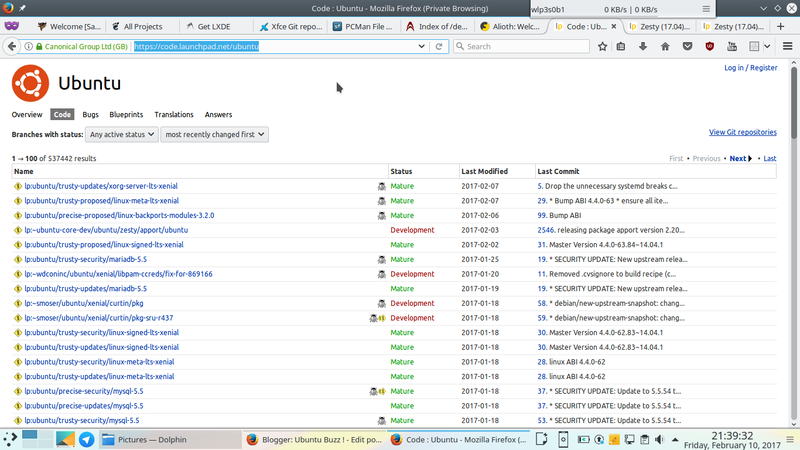 Yes, the source code of Ubuntu is publicly available at Launchpad URL above. And it's just the same as Debian and Slackware, Ubuntu also provides source codes in DVD ISO per Ubuntu release. So there are source code DVD series for 14.04, 16.04, and 16.10 for example. There are so many other free software projects have not mentioned here. These list is just a "first door" for you to enter the whole free software community "building". Each project mentioned above listed as one URL or two, whereas actually each of them has more than one place of source code, but I did it to make it easier to read. So this is just a starting point for your adventure in free software community. You've got the links, so now start your own journey. Enjoy!